Casa Batlló. Image Credit: Travel Photographers Magazine. Antoni Gaudí (25 June 1852 – 10 June 1926) was an architect from Reus, and the figurehead of Catalan Modernism. Gaudi is closely associated with the city of Barcelona, where most of his work is concentrated. Gaudí’s creative genius was inspired by nature and religion and was incorporated into every aspect of his work. He was a master craftsman in ceramics, stained glass, forged ironwork and carpentry, and rarely drew detailed plans, preferring to create three-dimensional scale models that could be molded as he worked. He also introduced new techniques, such as trencadis, in which mosaics are made from broken pieces of ceramic tile. Gaudi’s designs remain strikingly unique even after a century has passed. His work enjoys widespread appeal among the general public and architects alike, and many studies are devoted to understanding the principles of his designs. 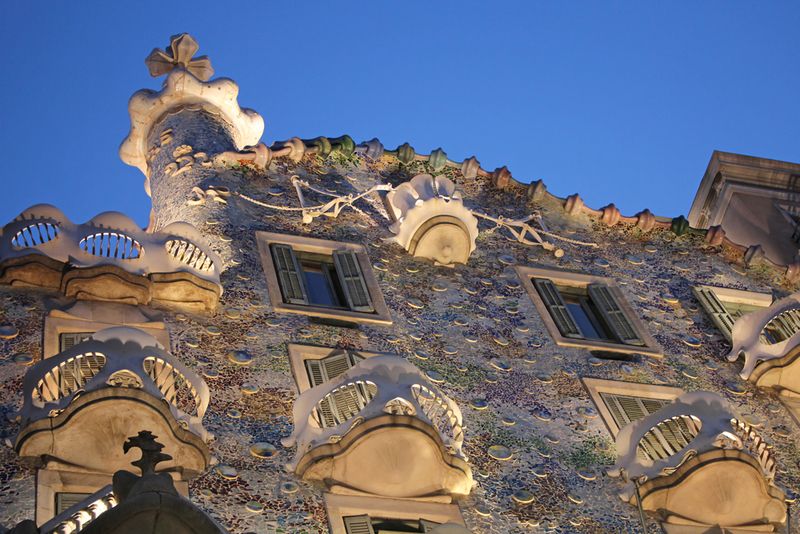 Between 1984 and 2005, seven of Antoni Gaudi’s works were declared World Heritage Sites by UNESCO. The seven buildings are: Parque Güell; Palacio Güell; Casa Mila; Casa Vicens; Gaudí’s work on the Nativity façade and Crypt of La Sagrada Familia; Casa Batlló; Crypt in Colonia Güell. Gaudi’s masterpiece is the Sagrada Familia, which was started by the architect Francesc de P. del Villar in 1882. Gaudi took over the project in 1883, and devoted the remainder of his life to it, but had completed less than a quarter of the church by the time of his death. 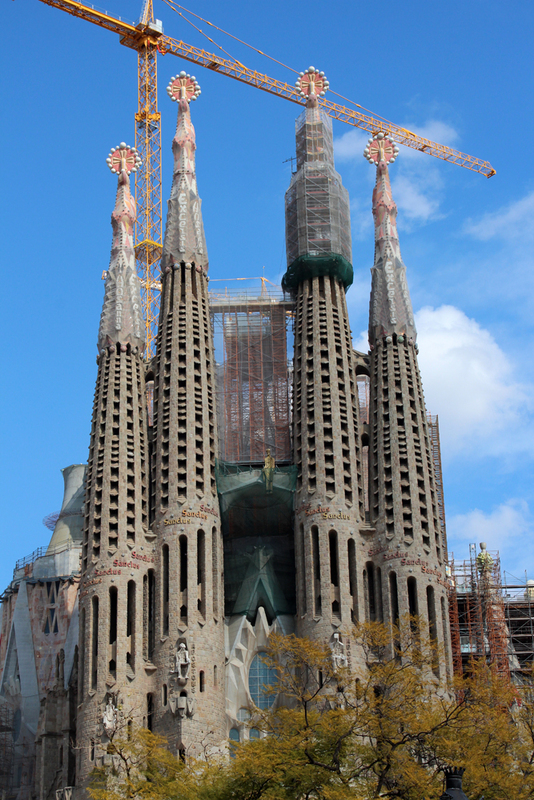 The exterior of the Sagrada Familia, still under construction. Image Credit: Travel Photographers Magazine. The Sagrada’s construction has progressed slowly, as it has relied on private donations and was interrupted by the Spanish Civil War, but construction is scheduled to be completed in 2026, the centenary of Gaudi’s death. The Sagrada Familia has come to symbolize the city of Barcelona and visitors from around the world come to marvel at its unique design. In November 2010, Pope Benedict XVI consecrated and proclaimed it a minor basilica. 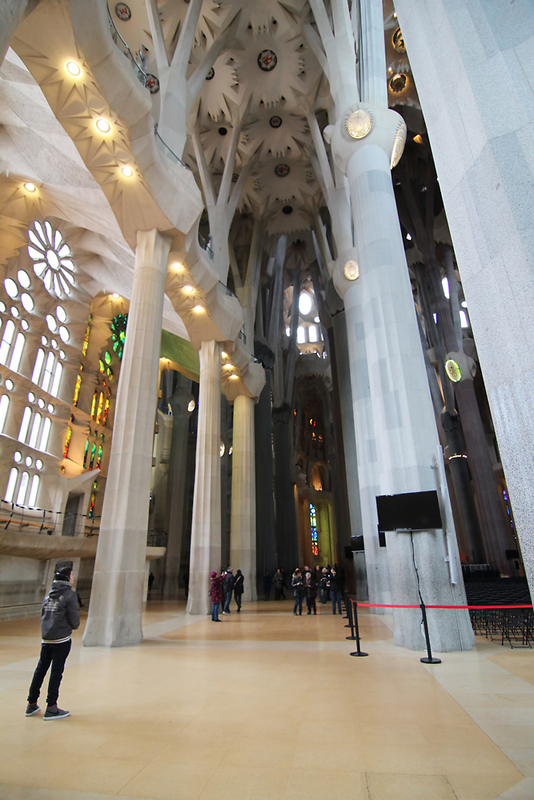 The interior of the Sagrada Familia. The design is inspired by nature, as the pillar and branches symbolise trees rising up to the roof. Image Credit: Travel Photographers Magazine.